There are 2 days left to enter! Glow with Annabelle Minerals – a 100% organic beauty range that’s just launched in the UK . Annabelle Minerals products are 100% organic and based on just four ingredients. 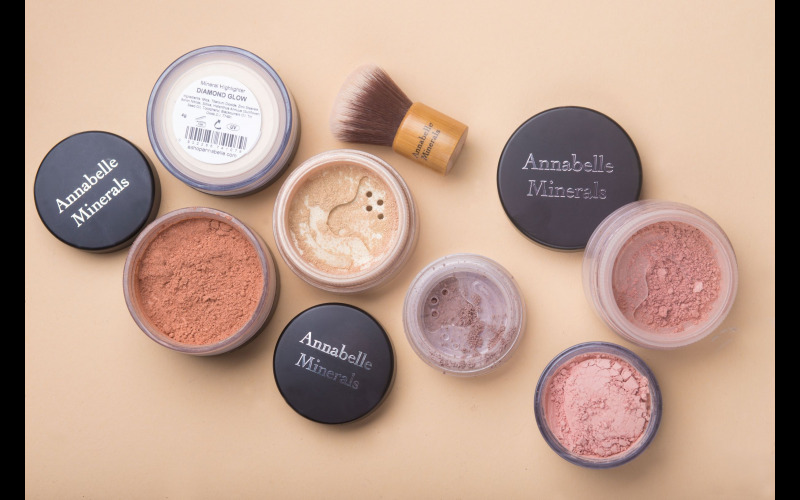 Annabelle Minerals’ cosmetics offer high-quality natural make-up suited to the needs of every skin type, from oily to dry and sensitive. Its mineral make-up is gentle and delicate enough for even those suffering with rosacea and gives you better coverage than many of the bigger known brands. create perfect, natural looking make-up without that ‘cake face’ effect. The power of mineral cosmetics comes from their ingredients, which not only beautify your skin, but help it to maintain good health, too. Skin-caring make-up that helps you keep a healthy glow – what’s not to love? The foundations consist of 22 shades in three different formulas: radiant, matte and coverage. With so many shades in three different finishes, you’re guaranteed that ‘cake face’ effect. The power of mineral cosmetics comes from their ingredients, which not only beautify your skin, but help it to maintain good health, too. Skin-caring make-up that helps you keep a healthy glow – what’s not to love?